The foundation of the Singapore Healthy Pyramid Diet. Some people swear by it, some hate it with a passion. Regardless whether you are an atkins low carb diet fan or on any weight loss diet, if you are able to utilize the different types of carbohydrates, you can benefit from healthy weight loss, improvement in body composition and feel more energised throughout the day. Eating fat makes you more fat. We do not need (too) much protein in our diet. 2g/kg is sufficient to meet our body’s requirememnt. Too much (red) meat contains artery-clogging cholesterol which causes cardiovascular diseases. Eat rice and pasta to increase satiety (the feeling of ‘fullness’) . Carbohydrates are good becaue they will not make you fat and gives you energy. However, just because they are equally important does not mean you need to eat equal amounts of each macronutrient. On the other hand, it is not healthy to severely limit any form of nutrient intake, be it Protein, Fat or Carbohydrate. Therefore, just how exactly should one eat? High Carb, Low Fat? High Protein and Fat? To tackle this question, I will examine each macronutrient individually. CnH2nOn where ‘n’ is an arbitary number. They can be classified as simple or complex. Simple carbohydrates are smaller, more easily processed molecules known as mono- and disaccharides since they contain either one sugar molecule or two sugar molecules linked together. Complex carbohydrates, on the other hand, are called polysaccharides since they have more than two sugar groups linked together. The Glycemic index is basically a measure of how different carbohydrates affect the blood sugar level. Carbohydrates that break down into sugar and raise blood sugar level quickly have a high glycemic index score. Carbohydrates that take longer to digest and be absorbed into the bloodstream have a lower glycemic index value. Foods that are ranked lower on the glycemic index are generally healthier because they contain less sugar and help to control the blood glucose level by maintaining a sustainable release of sugar into the body. This gives time for the hormone, leptin, to signal to the body that it is full so one will not overeat. Glycemic index (GI) will be explained more detailedly in future posts, where I will also talk about why it is not the most accurate way to assess the effect a food has on the blood sugar level. Termed the ‘healthiest’ carbohydrate amongst the trio, its claim to fame resulted from its rich source of fiber, vitamins, minerals, phytochemicals and many other nutrients. Low Carb diet fans love it for being low carb and low cal, making it an ideal food choice for a weight loss diet. Fibrous Carbohydrates are beneficial for us because it has a low glycemic index (GI) score so it provides our body with sustainable energy and hence, help control our blood sugar level within healthy levels. If one replaces it with other forms of carbohydrates, he or she will observe healthy weight loss, making the above food choices an important inclusion in any dietary weight loss plan. Losing weight sounds pretty cool huh? 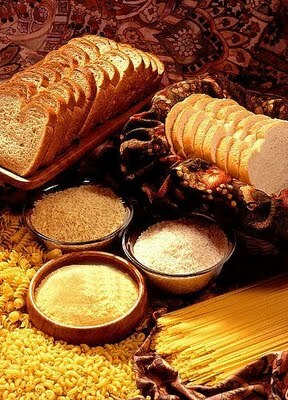 Read on to find out more about the wonders of fibrous carbs. Home of our favourite foods or even dietary staples (white rice and french fries no less! 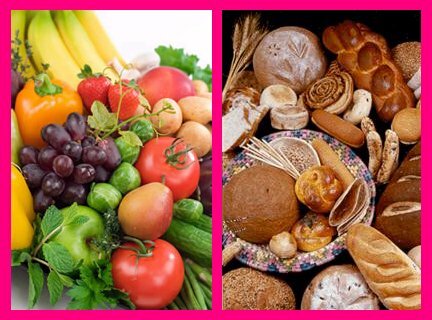 ), starchy carbohydrates are obviously a recurring element in most people’s diets. Don’t believe me? Take this simple (and healthy) test. Do 5 pushups everytime I mention a food which last week. The molecular structure of complex carbohydrates are more complicated than simple carbohydrates. The body cannot metabolise it as fast as compared to simple carbohydrates. Therefore, they take longer to digest and keep us fuller for longer periods of time. However, we are stepping into some controversial territory here (Complex starchy = bad VS Complex starchy = good). Are they as innocent as they look? I had this argument with Dr. John McDougall of vegetarian-diet fame, and I told him that the body “sees” a bolus of white potatoes exactly as it “sees” a big gob of sugar. He argued that was nonsense, and I argued that he needs to go back to biochemistry class. Basically, Jonny is saying that complex carbohydrates like potatoes are the equivalent of table sugar – it breaks down and enter the bloodstream just as fast. This means the overconsumption of certain complex carbohydrates (especially from dubious sources i.e fries) may actually equally jeopardise one’s health as sugar would. 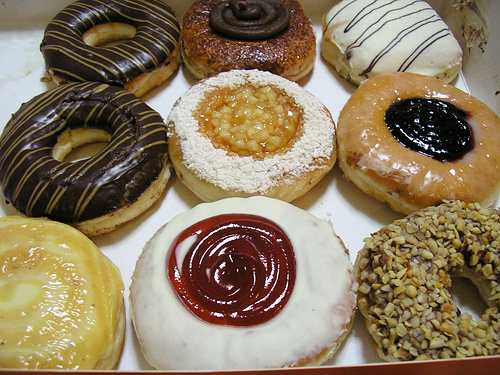 Pinpointed as one of the major culprits responsible for the rapid rise in global obesity rates. (WHO predicts at least 300 million adults in the world are clinically obese) In certain places like Huntington, 1 in every 4 person on the street is obese. However, that does not change the fact that we still love sugar. If not why are your eyes pinned to the picture below? Our love for sugar can be attributed to human evolution. 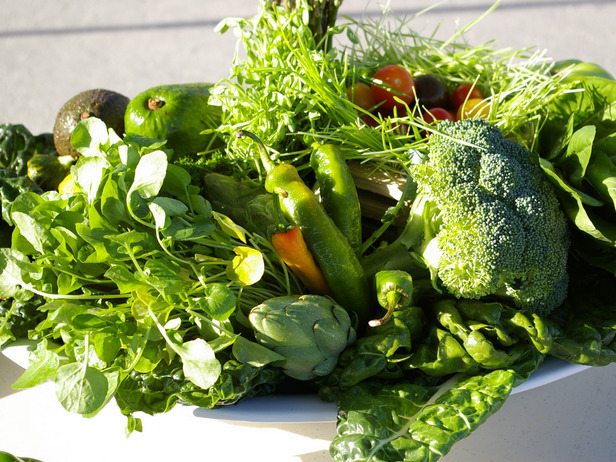 In the past, when our caveman ancestors were hungry, they had to hunt for food or gather herbs and fruits to eat. Back then, they never had the convenience of having McDonald’s delivered to their dinner table. As such, they were probably always hungry and in need of energy. Thus, whenever they consumed something sweet, they discovered they would feel more energetic and alert. To remember this property of sugar, they relied on the distinct sweet taste. Sugar - That's what you are actually eating. Hence, the modern addiction to sugar. And as illustrated many times above, blood sugar (glucose) is elevated after we digest a meal. Insulin is secreted prompting our body to shuttle these sugar into our organs (liver) or body cells (muscles and fats) where they are stored either as glycogen or triglycerides (fats), waiting to be mobilised/used up during physical activity. Not all sugar is equal. Some sugar is healthier than others. You heard me right. I would love to explain more but I want to get to the healthy pyramid diet part (We’ve wait long enough!). I will talk about sugar in a more in-depth post soon. 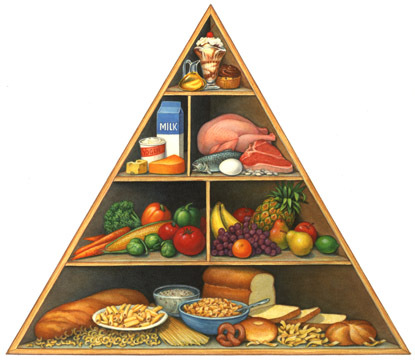 So why do carbohydrates occupy the biggest space in the Singapore Healthy Pyramid Diet? Want to find out? Then check this blog out tomorrow, when I’ll be editing it. This entry was posted in Carbohydrate, Diet, eating well, glycemic index, healthy pyramid diet, Nutrition, Sugar, Uncategorized and tagged carbohydrate, Diet, fat, fibrous carbohydrates, food pyramid healthy, Healthy Eating, Healthy Pyramid Diet, Nutrition, starchy carbohydrates, Sugar. Bookmark the permalink.